KOMAZA won the Africa Prize in the 2011 William James Foundation Competition. 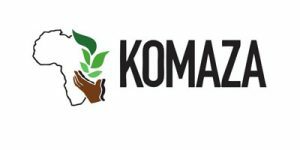 The KOMAZA team creates sustainable economic opportunities for smallholder farmers in East Africa semi-arid regions by building a complete, vertically integrated forestry value chain from seed to market. They partner with rural farmers living on less than a dollar a day to help them plant and maintain small-scale, income-generating tree farms. The WJF’s Erin Jones checked in with Tevis Howard about KOMAZA. We have a small US presence in Emeryville, California. Our core team and headquarters are in Kilifi, Kenya. I spent one and a half years in Kenya doing malaria immunology research. After becoming familiar with the place and after seeing so much poverty, I decided what poor people need most is a lot more money. Our solution is to help farmers make their land more productive. We think about our customers on two sides. By the traditional definition, they are the people who buy the wood products, the ones putting cash into KOMAZA. We are growing trees with poor farmers and that wood is sold to build things, such as fence posts. So in a business to consumer sense, our customers are the wood industry. Really the whole reason we do it though is not to grow wood for contracts, but to serve our clients and producers, the really poor farmers, specifically the ones on dryland where there is not enough rain to grow good food. In sum: the beneficiaries are the farmers and the consumers are those who buy wood. What are some of your major challenges? It is always raising money, although we are making some progress with that. There’s also the public perception of understanding what we do and how we define success—we are always getting better at that. However, mostly it’s raising money. We employ 10 people right now. The program gave us an enormous amount of feedback on our business plan and those nuggets worked their way into future business plan versions. We won the Africa prize, so we received both business plan feedback and money.